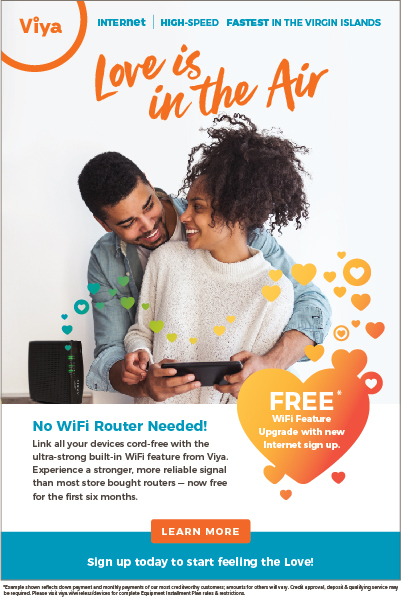 As a rule, living in a home that faces east in the Virgin Islands is a good thing. You get to enjoy beautiful sunrises and all the benefits of the trade winds. 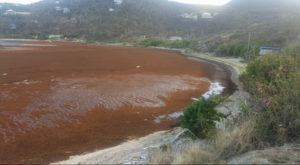 But for the last several weeks, the cooling breezes have also brought an influx of sargassum seaweed to east-facing beaches, particularly on the eastern portions of St. John. 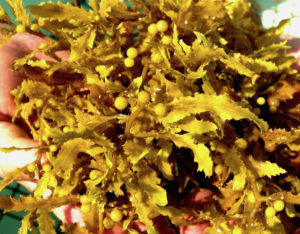 “Sargassum seaweed is a brown macroalga that forms floating mats in the tropical and subtropical Atlantic, mainly composed of two species: Sargassum natans and Sargassum fluitans,” according to a paper written by Caroline Rogers and William “Jeff’ Miller, two Virgin Islands biologists, and Candace Oviatt of the University of Rhode Island. As the sargassum piles onto the beaches, it begins to break down, emitting a stench not unlike rotten eggs. If you drive through Red Hook on the eastern end of St. Thomas, you’re likely to smell the piles of sargassum that have drifted into the inner part of the bay. The stench has been so bad that on three occasions, the Division of Fish and Wildlife, part of the Department of Planning and Natural Resources, has had to relocate its employees from its building in Red Hook. They’ve set up equipment to monitor the air quality throughout the day and night. 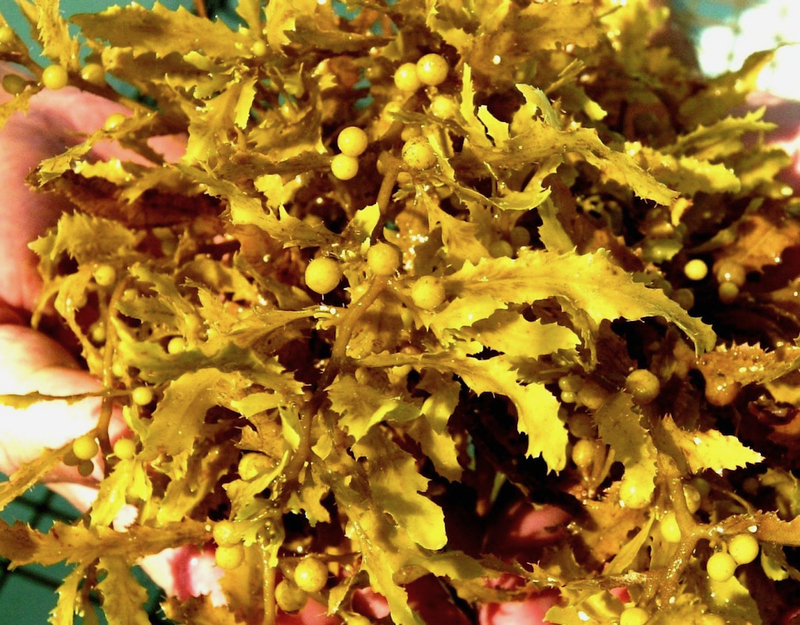 “In scenarios where sargassum accumulates and decomposes in large quantities, the smell of rotten eggs can occur,” wrote Fish and Wildlife Director Ruth Gomez. “This is the odor of hydrogen sulfide gas, which is given off as part of natural decomposition. 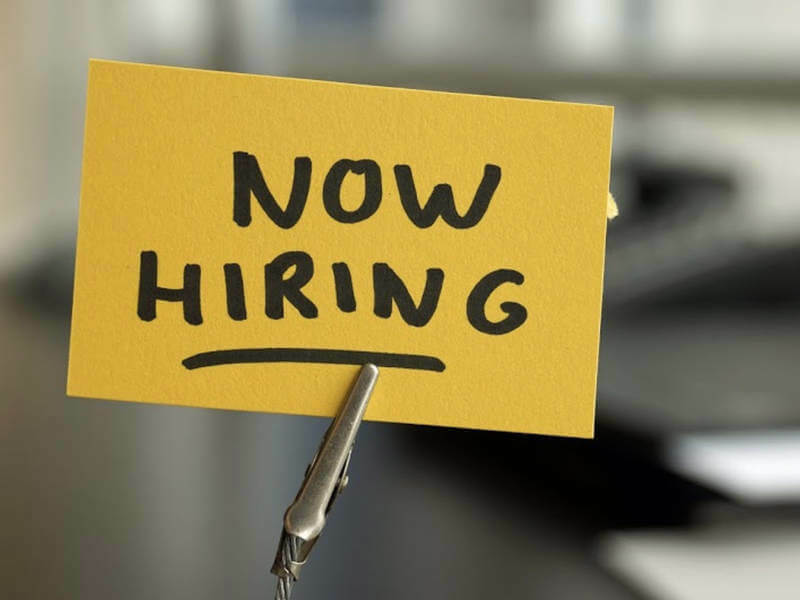 The U.S. Occupational Safety and Health Administration notes that when the smell is described as ‘more offensive’ (three to five parts per million), prolonged exposure might cause effects such as nausea, tearing of the eyes, headaches and loss of sleep. 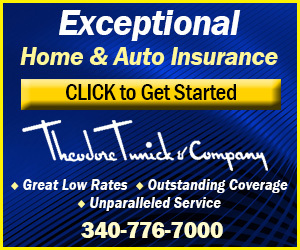 Asthma sufferers may experience airway problems. Full details from the OSHA report can be found here,” she added. Donna and Ernest Matthias, who live near the southeast tip of St. John, say they’ve been suffering from some of the symptoms since the sargassum started piling up in bays near their home in late May. Although some Caribbean islands have reported sargassum invasions “at nuisance levels” since 2011, sargassum began to be a serious problem on St. John in 2015, according to Ernest Matthias. “Back then we hired people with wheel barrows to pick it up, but there’s too much for us to handle now,” he said. 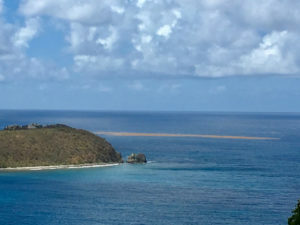 Several people on St. John said as the patches of sargassum began to float by the island during the first week of June, they looked like islands in the distance. 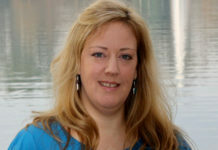 Caroline Rogers, a marine biologist with the U.S. Geological Survey posted to the Virgin Islands National Park, agrees that this is an exceptional year for sargassum. “I’ve never seen it so thick; some of it is sinking and rotting now, and it continues to come in,” she said. Rogers said the sargassum can be hazardous to marine life when it accumulates on shorelines. The thick mats block sunlight that coral reefs need to survive. “There are places where staghorn and elkhorn corals have been abraded by sargassum. I have no doubts that [corals] have been damaged,” she said. But at the same time, sargassum that’s floating in the ocean “supports a community of life,” Rogers added. Most of the sargassum in the Caribbean comes from the Sargasso Sea, an area in the mid-North Atlantic that includes Bermuda as its only point of land. The Sargasso Sea is home to more than 100 species of fish and 145 species of invertebrates, such as shrimps and crabs. “It is a unique marine ecosystem, far from any shore,” according to a video produced by the Atlantic Conservation Partnership. Unlike other “seas,” which are defined by land boundaries, the Sargasso Sea is bounded by ocean currents that cause it to revolve, clockwise, as a gyre. Periodically, streamers of sargassum from this gyre are released and drift down toward the Caribbean. Why so much sargassum is drifting our way now is still a matter of speculation, but many scientists attribute it to aspects of climate change. 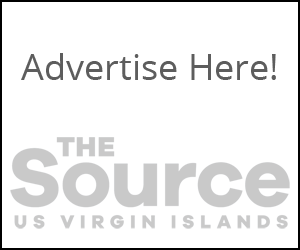 Rafe Boulon, a marine biologist who spent his career working at both DFW and the Virgin Islands National Park, also thinks climate change and pollution are the causes. 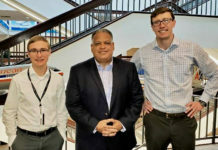 “My theory on the Sargassum is that with warmer surface waters in the Atlantic, coupled with massive amounts of ship traffic disposing of waste (nutrients) and land-based runoff (more nutrients), conditions are right for more growth of algae,” he said. Sargassum that washes ashore does play a critical role building up beaches and providing nutrients for other plants to grow. It also can be harvested and used for fertilizer, although most experts recommend washing the salt out of it before using it on plants. One farmer on Barbados has set up a cottage industry manufacturing fertilizer from seaweed, as can be seen here. 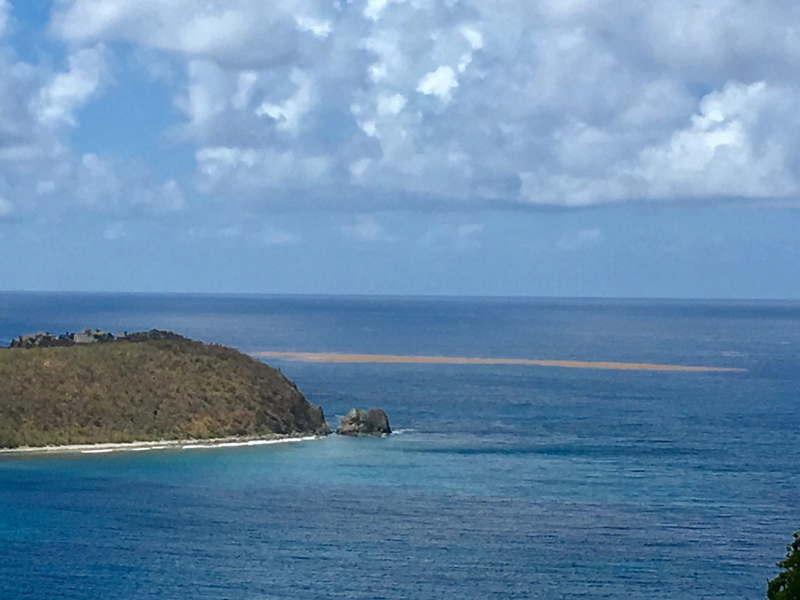 In the Virgin Islands, residents or businesses that want to engage in bulk removal of sargassum can contact Coastal Zone Management to obtain permission. 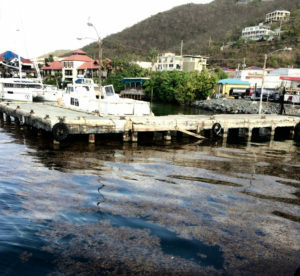 Removing sargassum is labor intensive, but in 2015, a St. Maarten online newspaper reported on a system known as the “Sargator.” It is a boat outfitted with a conveyor belt that can collect 10 tons of seaweed by dipping the belt 1.8 meters below the surface. 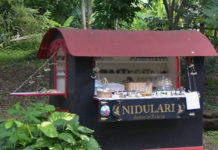 The system was developed by STMI, a small company in Guadeloupe, and can be seen in action here. The newspaper reported that plans were underway to produce more of the vessels.